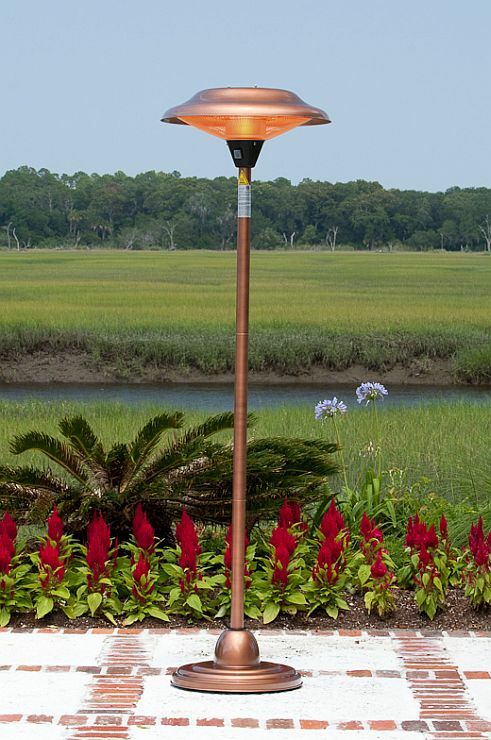 The Copper Finish Floor Standing Round Halogen Patio Heater introduces a new revolution in outdoor heating. 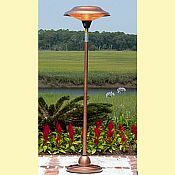 This halogen patio heater runs on regular household electric current and is substantially less expensive to operate than propane patio heaters. It provides 100% heat production in seconds. This adaptable unit can be used indoors and outdoors and has three heat settings and a 14 foot electrical cord. Steel and aluminum construction. Assembled Dimensions: 18.12" Base, 82.74" Height, Weight: 31.68 lbs.